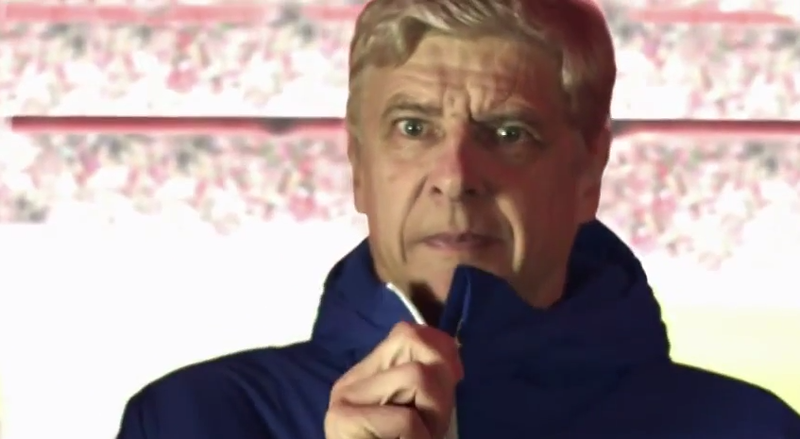 In a slap in the face to Nike, Puma has released a brand-new video that discusses how the German manufacturer has designed a jacket for manager Arsene Wenger that won’t suffer the multitude of jacket malfunctions that the Arsenal manager had when his Gunners wore Nike apparel. As you can see from the video below, it shows a different side of Wenger that we normally don’t see. Personally, I love it. Funny stuff. When I toured Emirates last week, I took a picture in the boss’ seat fiddling with my coat’s zipper. Running gag at our house.